If you are a gamer then the Star Wars movies are a must see, and the same can be said about most of its games. There are a lot of Mods out there for sci-fi games (Homeworld 2 & Sins of a Solar Empire), but here is a different take on the game play entirely. 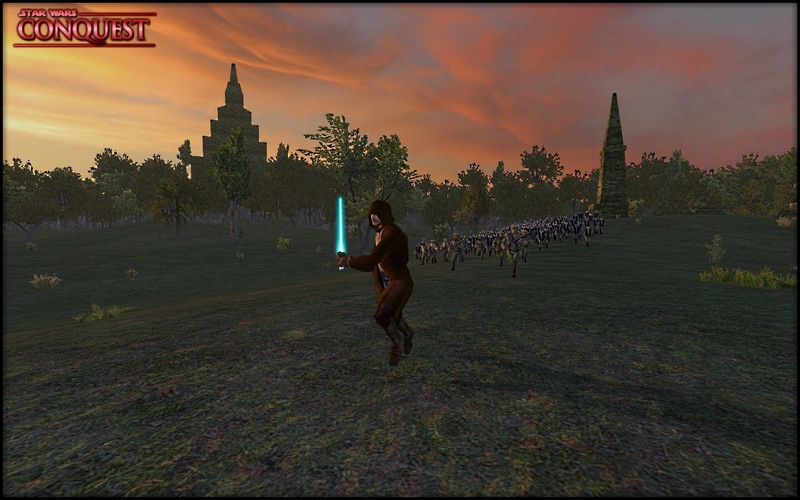 Star Wars in the style of Medieval RTS/Fighting game Mount & Blade. I will say right away that the campaign map is a bit overwhelming when you first see it. There is a huge number planets, moons and space stations that you can visit and conquer. The Development team has done a fantastic job in including as much of the Star Wars Expanded Universe planets in as possible. Movement on the world map (Universe map I guess) has been changed as well: instead of being either on foot or horse back you now roam the galaxy in a space ship. Stylish right? Well guess what? You can even trade it in and, for enough credits, buy a bigger one and upgrade it further! Moving on from space, let’s have a look at the game play aspects. We all know that the Mount & Blade engine has built-in Firearms support, but the guys over at the Star Wars Dev team have done a great job in trying to implement their own system. It has resulted in a good and easy to combat system, and most rifles come with a hip fire and an aimed fire mode which makes it even cooler. On to melee, not as good as the ranged combat, it can seem sluggish and unresponsive at times. Personally, I’ll stick to the rifles myself. But it is nice to see that the Team stuck to Star Wars canon and added in vibroblades that can block lightsabers (Yes, I’ll get to them in a minute) along with small hand-held shields. To those of you who haven’t guessed, yes, there are lightsabers in the Mod. Yes, they come in different colors. But no, they are not customizable yet. But cool as it is to have a lightsaber, that is all it is. The lightsabers suffer the same fault that all melee combat in the mod falls under. It is nowhere near as cool as having a platoon of Storm Troopers fire on your command. I kept a lightsaber equipped to my character just in case I ever found myself in a close quarters situation, but alas, my blaster rifle ensured that never happened. Now when it comes to looks, this Mod delivers. The Stormtroopers and Imperial Officers look like they were lifted from the movies and placed into the game. Whilst some of the planets you visit seem a little barren or bare, the ones that are detailed, like Yavin IV, more than make up for it. The battlefields are pretty standard for Mount & Blade but it still seems to work quite well, except when the level of blaster fire gets so intense you can’t see the background. 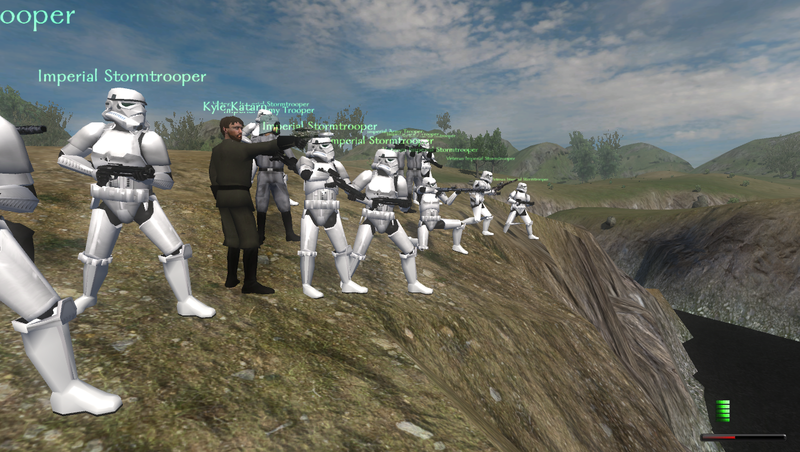 This mod is a must play for any Mount & Blade or Star Wars fan. The small number of errors that are currently present will surely get worked out. After all, this is a Work In Progress. The main thing about a game is how much you enjoy it. Well this mod, like the game it is based on, has giving me hours if not days (non-stop) of fun. So keep up with it and grab the new releases as soon as you can; this Mod can only get better with time. Now excuse me while I end this review and get back to playing Star Wars: Conquest Mod for Mount & Blade. Reviewers Note: To all you M&B:Warband players, there are currently no plans for a port from the original to Warband.